Eggsellent Easter: Dirty Bertie's Spider! Wow, do we have a disgustingly, revoltingly, hilariously fun event for you! Alan Macdonald, writer of the 'Dirty Bertie' series, will be in store for story-time and drawing activities relating to everyone's favourite child-in-need-of-a-bath. Come and hear the new book, 'Spider!' 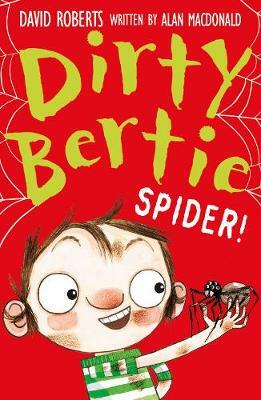 Join Bertie as he shocks and amazes his classmates with his huge pet spider, is tricked into wearing one of Gran's knitted horrors to school, and finds nothing but trouble when he digs for treasure in the park. The event is free to attend, but please contact us on 0115 9470069 to book your place in advance!